± 50% of Transport Canada's exam is now allocated to the VFR Chart (and Enroute Low Altitude Enroute Chart (LO) Chart) part of the test. Pilots who want to write the HAGAR Exam are well advised to pick up VFR Charts for the regions they will be flying in. 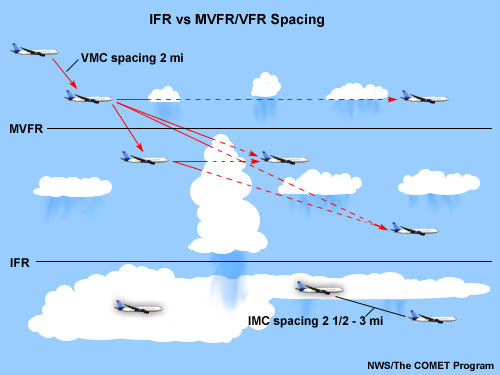 - Up to 50% of the Exam time is now spent on the VFR Chart. and you will need the Legend provided on the charts to understand what the symbols etc stand for. You MUST fly below 700' AGL, following Land Contour or you MUST file your HAGAR first before flying there. Glenn Derouin's (Paraglide Canada) property may be JUST inside CYA 122 (A)(H) - if in fact it is. The jet is going ~ 350mph. That is about 1 mile in ten seconds, less than one circle in a thermal. Permission to publish the following charts, as educational material, has been received from Transport Canada and NAV Canada. North Okanagan VFR Chart (Out of date version) provided for study purposes only. - Up to 50% of the HAGAR examination is now spent on VFR Charts. If you enlarge the photo, you will see a the inside compass rose enclosing King Eddie / Baldy going around to the west side of Okanagan lake, obviously including Blue Grouse Launch. - You''ll see a Blue E700 on the west side of Okangan Lake, across from Ellison Park and again south of King Eddie Launch. That means one thing. Class E Airspace starts at 700' AGL following land contour inside all that compass rose. King Eddie/ Baldy Launches, Vernon Mt and Blue Grouse are HAGAR Country only, unless you are ground skimming / speed gliding all the way to the bottom. Period. Read the "fine print" information about CYA 122 (A)(H) - found at the far right bottom corner of the CYA. - Crystal clear type will not Scan or come out clearly in an Image. Best I can do. Sorry. The Okanagan LE Chart (Out of date version) is provided, with permission to publish, for study purposes only. See also NAV Canada's Designated Airspace Handbook - because the VFR and LO Charts are too cluttered to hold all the data. This (Victor Airways - found on the "LO Chart" = Enroute Low Altitude Chart) also is NEED TO KNOW stuff. Victor 302 starting off at the Enderby VORTAC (an IFR air navigation aid) heads down the west side of the Nth Okanagan Valley heading to the Kelowna Airport. Victor Airway 302 heading SSW from the Enderby VORTAC has what Minimum Enroute Alitude (MEA)? - We are required to stay 1000' below Victor Airways' Minimum Enroute Alitude (MEA) for safety separation reasons. Where does Victor Airway 302 drop from 8200? (Heading south towards Blue Grouse) to 6100' ? Answer: West of the Vernon Airport. So is in effect at Blue Grouse... and WATCH OUT flying SE from Bollean or Stoney Creek! Answer: At the Enderby VORTAC marked by a Black Polygon with a box around it. Victor 354 starting off at the Enderby VORTAC goes down the east side of the Nth Okanagan Valley to the Kelowna Airport. Victor Airway 354 heading south from the Enderby VORTAC has what Minimum Enroute Alitude (MEA)? Looking at V 354 stamped over Vernon, you see two numbers. 9900 over *9400. - What are these? Which is the important one for us? Victor Airway 354 coming from Cranbrook to the Enderby VORTAC at N50°40'40.3" W118°56'19.7" has what Minimum Enroute Alitude (MEA)? Which of the two applies to us flying inside the "Compass Rose" around the Enderby VORTAC = directly behind Mara Launch? Question 8: How far south of Mara do you have to fly before V302 does not impact the MEA of V354 on our XC Route to Vernon? To answer this you need to look up in TP 14371 - Transport Canada Aeronautical Information Manual (TC AIM) in the RAC Section. - Espace aérien du Canada (Français-Anglais)- Publication Imprimée[/b] - Voir ci-dessous. Canadian Airspace Viewer thanks to the WCSC's Peter Spear. The airspace above the United States can seem as complex and convoluted as a soap opera plot. Posted: Fri Nov 02, 2012 02:57 pm Post subject: PSTAR Study Guide. General Information for Controlled Airspace - Robyn's Improved PSTAR Study Guide. but every portion belongs to one of seven classes, A through G, each with different rules. For a full explanation of the rules for different classes of airspace, read CARs 601.02 through to 601.09. The list below may help you remember some of the requirements, based on the letters of the airspace. B etween 12,500' and 18,000' asl. D ialogue required -- Don't enter without talking to the controller first. E asy for VFR aircraft - you don't need to talk to anyone. Everyone gone home from class D.
Classes A through E are controlled. Class F can be controlled or uncontrolled. Class G is always uncontrolled. Notice that the difference between C and D is that you need a clearance to enter class C airspace, but two-way communication is all you need to enter class D.
To fly VFR in controlled airspace (like at Black Knight near Kelowna) you must maintain 500' vertical separation from cloud and one mile horizontal separation from cloud, and have 3 miles forward visibility. The links to Transport Canada's Practice Exams have just now been all repaired. This is a great winter project in preparation for a great upcoming year of XC Flights. - Links that even TC has not been able to find on their new website after repeated efforts! Nicely done, Serge! Transport Canada will invigilate HAGAR exams (at no cost as per last report) but only for large groups. The HPAC HAGAR Study Guide is out of date. Many changes have been made since it was published. Secondly, 50% of the exam is now reputedly spent on questioning you on VFR Charts and Airspace separation. Another good study source of information is Transport Canada's Aeronautical Information Manual, now on-line. We thank you for contacting Transport Canada's Civil Aviation Communications Centre. revalidation does NOT apply to the Hang Glider type operations, thus would only need to be done once. of a Category 1, 3 or 4 Medical Certificate, it makes no reference to a validity period. In Part 4 of the Regulations all references made to a Licence Permit or Rating mean they must be "Valid" (400.01(2)). Should you need additional information please contact a Transport Canada region Civil Aviation Medicine Office. I trust this information will be of assistance to you. I finally have some time to update the HAGAR Study Guide. I have received very little feedback since I published the last version in 2003. So now is the time to speak up and give me the feedback that I need, good or bad, so I can improve the next version. I am looking forward to your input. My target for publishing the new version is late April. I would prefer to get the feedback well in advance of that date. I am also looking for information about where the exam can be written today and the good and bad associated with the status quo. Please give me specific information. General complaints that there are too few place to write the exams and that there are too expensive is of not much use to me. "When you become a free registered member, FlightAware works for you. Free membership lets you choose up to 3 Airports (areas) to focus in on. - and even let you setup flight alerts to be sent to your cell phone or email."